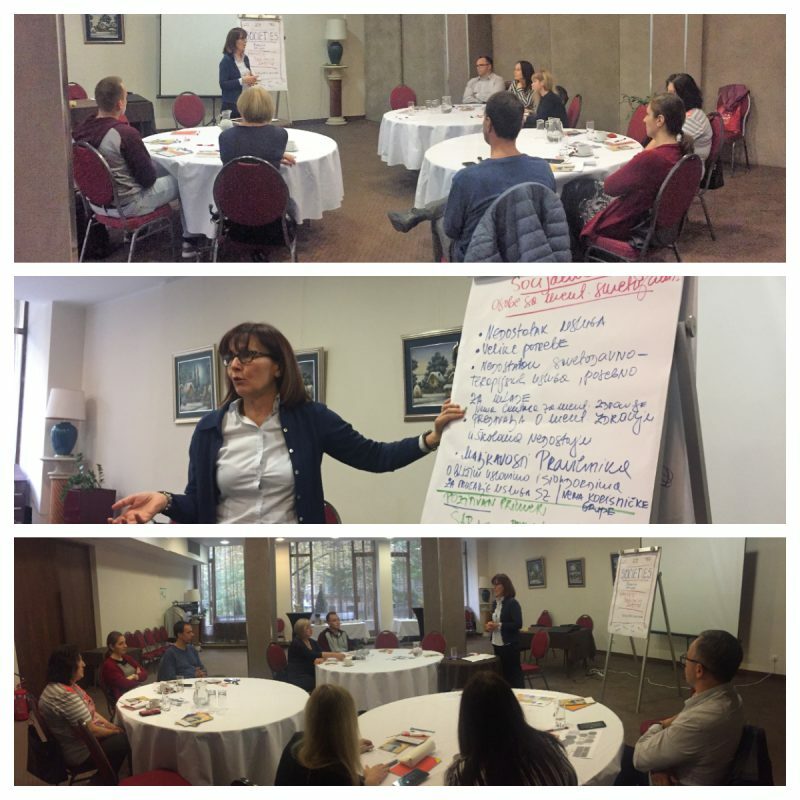 In the framework of the project Societies – Support of CSOs and empowering technical skills, Inclusion of people with disabilities and EU standards in South East Europe, the sixth meeting of the Working Group on Social Inclusion in Serbia took place on Tuesday 30 October in Belgrade. The aim of the meeting was to initiate a discussion on the topic of the Social Protection Services. For this reason the meeting brought together representatives of civil society organizations providing social services, who were invited to share their experience and the challenges they face in practice. A national forum where the recommendations for the promotion of social inclusion policies, made within the Societies project will be presented, is planned for April 2019.